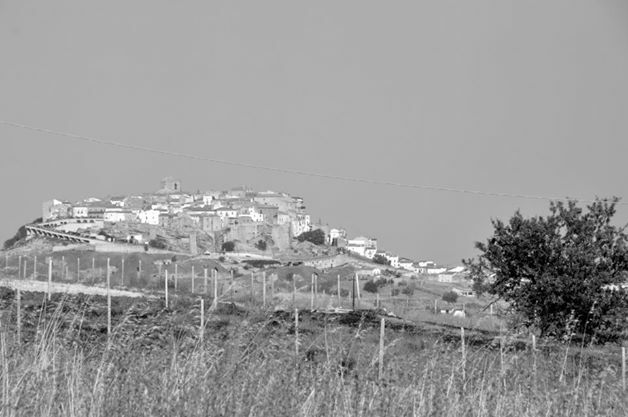 In the far valley of this historic town called Acerenza, you will find vineyards that produce the famous local wine Aglianico DOC. 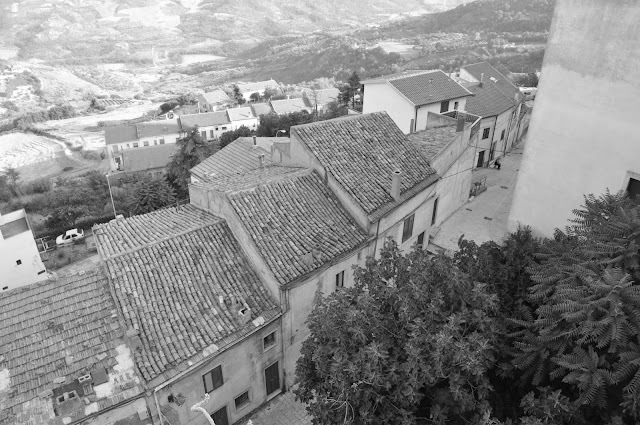 This agricultural town is situated northeast of Potenza and offers a magnificant landscape that is dominated by vineyards and many medieval historic buildings. It is here where my father and his passion for wine making was born. Le Cantine, via delle Cantine are ancient caves where wine produced by the locals was stored. My grandfather - Nonno Vincenzo owned land and a vineyard near la Cappella di Pompei and la Grotta di San Michele, as well as stored his wine in one of these cantine. He cultivated the vineyard and worked in his saddlery store where he made saddles for the locals. The store was in Via Giacinto Albini near La Caserma dei Carabinieri. He employed a shoe maker who would make the shoes on the premises and my father at a young age would sell these shoes in nearby towns. He also supplied the locals with leather, nails, rope and produce such as walnuts, cheese and wine from his vineyard. Papa` did not participate in the wine making process as he was young at the time, however what he learnt came through observation. The wine was made by a local that my grandfather employed. 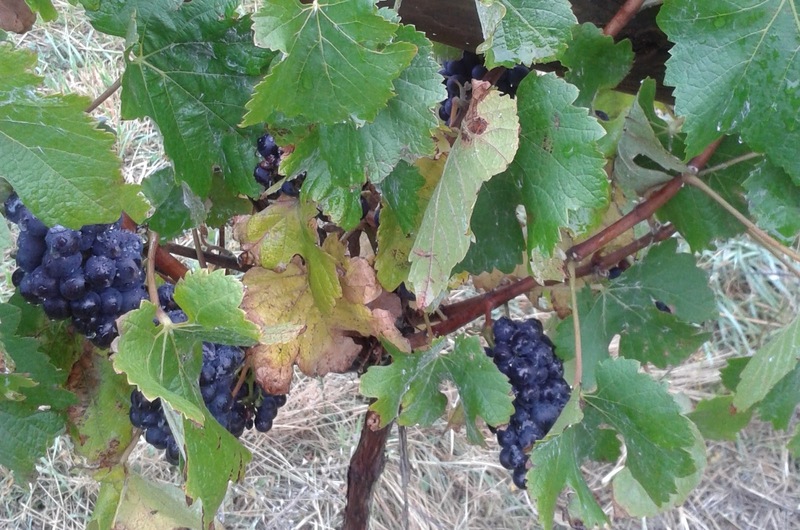 The red wine was made from Aglianico grapes and the white wine from Moscato. The wine would then be stored in the Cantine, and those who wanted to buy his wine would come there, bring their damigiane (demijohns), and buy quantities as required. The family later migrated to Potenza, and it was here that papa` now older, started to take more of an interest in wine making. He would help his father make wine for some of the local grape growers. Although he never made wine for himself in Italy, what he observed and learnt from his father would later in life serve him well. Papa`s wine making practice has been a tradition in our family since I can remember - over 40 years. It was only once we settled in Australia that he became nostalgic and passionate about the art of making wine. With him, he brought the only heirloom possible - the filter that belonged to his uncle - Zio Canio, which he still uses today. I was fortunate to visit Acerenza with him during the late 80's on a day trip to purchase some locally produced wine. Longing for his own home made wine, it became apparent that the next best 'drop' would have to come from Acerenza. I remember him also buying a small botte as a souvenir to store a gallon of wine in. He still has this botte somewhere in his cantina in Melbourne amongst all the wine making equipment. An old quote by Cecco Angiolieri (circa 1260 - 1312) 'Sia benedetto chi per primo invento` il vino che tutto il giorno mi fa stare allegro.' This translates as: Bless the one who first invented wine that helps keep me happy all day long. Wine making is a yearly ritual which papa` is reluctant to let go of, even though his cantina still holds wine from 6 seasons ago. His philosophy is keeping stock levels high just in case he is unable to make his wine the following season. His wine is shared amongst family and friends and always at the table during festivities as well as with daily meals. Over the years he has perfected his wine making skills trying different blends and more recently just Shiraz grapes. He does not use preservatives or additives quoting the famous saying 'Vino battezzato, non vale un fiato' (basically meaning it's not worthy). Another famous saying I've heard my father reciting is: 'Chi ha pane e vino, sta meglio del suo vicino.' This translates as: he who has bread and wine is better off than his neighbour. My paternal grandmother Nonna Angela lived to the age of 93. I believe her secret to a long life was her daily intake of half a glass of red wine. She would dunk a piece of bread in the wine and that is how she would always finish her meals...bless! The annual wine making process at my parents also includes rendering down the 'must' to produce vino cotto also known as vin cotto. This is used for sweets such as la lagana chiapputa, panzarotti and a very basic and old recipe for mostaccioli, all typical of this region which I wrote about in my previous posts. Some of these sweets will undoubtedly appear at our family gathering this Easter, as well as shiraz grapes which I am in the process of drying. They will accompany the quince paste I made last week, and served with cheese.